Just when you thought the car show season was coming to the end, there’s one more you don’t want to miss! The Long Beach Motorama, featuring the Showcase of Kustoms, was created specifically to feature the top custom cars being built today. Not only that, but there’s plenty of history too. 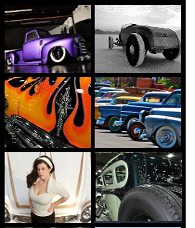 Motorama is modeled after the custom car show begun in 1958 by the Renegades Car Club and recognizes important builders, cars, and individuals from hot rodding history. To be sure that the Long Beach Motorama draws some of the most impressive custom builds around, it features a Kustom D’Elegance award that’ll earn the skillful car builder a $20,000 purse! While the cars in competition for the Kustom D’Elegance award are fantastic, I wanted to give ya’ll a chance to see the variety of other cars that showed up. 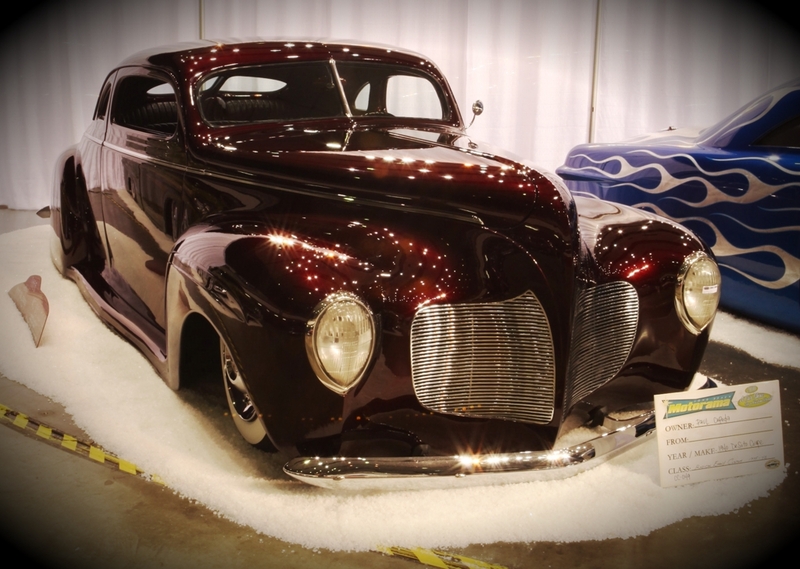 From mild to radical customs, pickups to lowriders – this was a very well-rounded show! Scroll on down through this pick of ten from Mitzi (try not to drool on your keyboard) and be sure to leave a comment below and let everyone know which one you like the best! 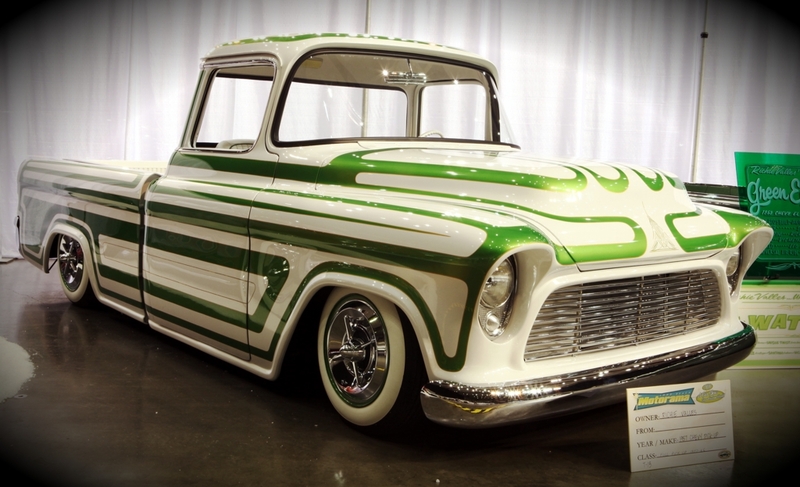 1957 Ford “Jade Idol II” painted by Gene Winfield… Gene had a whooping 12 cars he’d done on display! What do ya think!? Nice, huh! If you’re around SoCal this weekend… go to the show! The Long Beach Motoramabegan Friday and runs all through the last weekend of September. Cars fill the Long Beach Arena and overflow into the beautiful Rainbow Lagoon Park where’s there’s also live music and vendors. For all the rest, if ya can’t see ’em live…talk about these custom cars here at MyRideisMe.com…leave a comment and let us know what ya think! Damn! That ’57 pick-up is awesome, saw a movie about it on you-tube burning some serious rubber…..at least it looked a lot like this one! My fellow Scrapers member Jerry is building a white and green scalloped ’51 Ford, for sure he will like these scallops. Thanks for the great pictures and don’t forget to visit scrapervins.blogspot.com! Amazing pics! I don’t think I can choose a favorite. They’re all great. Anyone know the name of the blue (or something close) that is on the 1953 Chevy “Blue Lagoon”?